Every business and individuals’ requirements will vary and we have a range of plans to fit – from full omnipotence over the global sugar market to a basic understanding of current prices and policies. Sugaronline offer some subscriptions to services outside of our packages. Please see below for more information. Includes ethanol freight information to common destinations, production flows, news and analysis of the global market along with price charts and quotes, especially useful if you’re interested in ethanol in Brazil or the US. Our weekly newsletter provides a concise weekly summary of the industry’s main news stories and reports. The latest corporate and industry news from our trusted providers. Closing prices from the world’s major sugar markets. Find our special reports here available for all paying members. Historical white and raw global sugar futures price data, providing open, close, high, low, volume and open interest values. Comprehensive global sugar and ethanol news coverage posted throughout the day with improved access to our news archives searchable back to 2000. Our popular daily digest containing all the day’s top sugar and ethanol news stories. Closing futures prices and the day’s key market news delivered directly to your inbox every evening. Julian Price brings more than 30 years of experience in EU and ACP sugar analysis and trade to this monthly overview of European sugar prices, production and statistics. Award-winning analyst Prerna Sharma’s bi-weekly report looks at the latest activity in the Indian sugar & ethanol industries. Sugaronline Weekly Brazil Roundup – A comprehensive summary of the week’s key sugar and ethanol news from Brazil, plus domestic prices, currency and weather updates – including crop impact analysis. 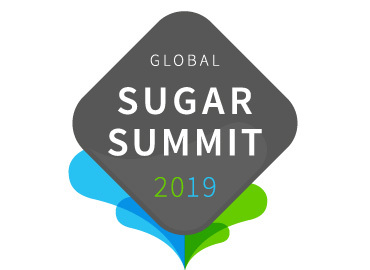 Sugaronline Bi-weekly Europe Roundup – As European sugar opens up to the world market this bi-weekly roundup provides a valuable overview of the major news stories affecting the region. Roger Bradshaw brings us the latest market news and developments from China’s sugar industry in this original report for Sugaronline. ICE exchange feed offering a diverse range of futures contracts including benchmarks in globally traded soft commodities, North American natural gas and power, equity indexes and FX. Can be included as part of the Live Prices platform. ICE LIFFE exchange feed offering futures and options contracts for crude oil, interest rates, equity derivatives, natural gas, power, coal, emissions and soft commodities. Can be included as part of the Live Prices platform. Market-Q is a mature, browser-based, comprehensive desktop terminal that integrates global real-time pricing information, news, research, key corporate actions and dividend data, plus sophisticated tools, including advanced charting and alert services. Sugaronline in conjunction with one of the world's biggest trading companies has developed a unique email service that delivers the London No5 international white sugar prices and the New York No11 international raw prices along with all the premium values (difference between the No5 & No11 contracts) direct to your inbox every 30 minutes. This service is the simplest form of price delivery that only requires a minimal GPS signal so can be used in the remotest of areas on any device that can receive an email. No files to download, no app required to view the information - just a simple email sent automatically to you with the No5, No11 and premiums all neatly displayed so you are never out of touch with the market. Add Sugaronline e-news and you have the complete package of truly mobile access to prices and news in the palm of your hand. Non-Membership Product Sugaronline in conjunction with one of the world's biggest trading companies has developed a unique email service that delivers the London No5 international white sugar prices and the New York No11 international raw prices along with all the premium values (difference between the No5 & No11 contracts) direct to your inbox every 30 minutes. This service is the simplest form of price delivery that only requires a minimal GPS signal so can be used in the remotest of areas on any device that can receive an email. No files to download, no app required to view the information - just a simple email sent automatically to you with the No5, No11 and premiums all neatly displayed so you are never out of touch with the market. Add Sugaronline e-news and you have the complete package of truly mobile access to prices and news in the palm of your hand. Sugaronline in conjunction with one of the world's biggest trading companies has developed a unique email service that delivers the latest news headlines and full story content direct to your inbox at a two hourly interval. This service is the simplest form of news delivery that only requires a minimal GPS signal so can be accessed in the remotest areas on any device that can receive an email. No files to download, no app required to view the information - just a simple email sent automatically to you with the latest news stories that we have posted to the main site so you are never out of touch with what is going on in the market. Add Sugaronline e-prices and you have the complete package of a truly mobile access to news and prices in the palm of your hand. Non-Membership Product Sugaronline in conjunction with one of the world's biggest trading companies has developed a unique email service that delivers the latest news headlines and full story content direct to your inbox at a two hourly interval. This service is the simplest form of news delivery that only requires a minimal GPS signal so can be accessed in the remotest areas on any device that can receive an email. No files to download, no app required to view the information - just a simple email sent automatically to you with the latest news stories that we have posted to the main site so you are never out of touch with what is going on in the market. Add Sugaronline e-prices and you have the complete package of a truly mobile access to news and prices in the palm of your hand. 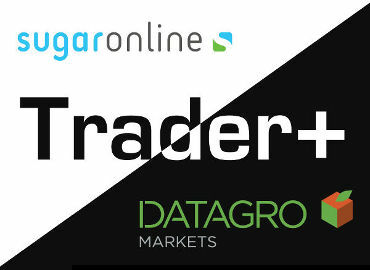 Delayed US & Canadian futures data feed for use with the Sugaronline Live Prices platform. (Trader only)(Trader and Trader + only). (Trader and Trader + only). Delayed futures data feed for use with the Sugaronline Live Prices platform. Dow Jones news feed for use with the Sugaronline Live Prices platform (Trader and Trader + only). Delayed Forex data feed for use with the Sugaronline Live Prices platform (Trader and Trader + only). These add-ons are available as an add-on to our Trader plan. Plans are available with monthly or discounted annual payments.